S.447 Bill sponsored in the Senate by senator Tammy Baldwin (D-WI). Passed in the Senate on 12/17/2017. Cosponsors, full text and all-actions. Both the Senate version (S.447) and the House of Representatives version (H.R. 1226) of the bill were introduced in their respective chambers on 2/27/2017. By unanimous consent, S.447 has already passed the Senate, while H.R.1226 awaits now evaluation in the House Committee on Foreign Affairs. Cosponsors, full text and all-actions. After H.R.1226 passes the House and gets the president’s signature, the “JUST” act will become the U.S. Law. But despite its reassuring name, this law will be grossly unjust to Poland – always the loyal ally of the United States and country that suffered the most horrific devastation in the World War II (see the video ending this post). If enacted, the law will use the power of U.S. government to “monitor” the “identification, return, or restitution of wrongfully seized or transferred Holocaust era assets and compliance with the goals of the Terezin Declaration” in countries that signed it in conclusion of the 2009 Holocaust Era Assets Conference. This wording appears to be high-minded at first but the bill actually represents an effort to circumvent or overwrite national laws existing in sovereign states with purpose of legitimizing compensation demands that cannot be substantiated under legal procedures and requirements already in effect and creating a new mechanism for exerting political pressure to achieve these goals. 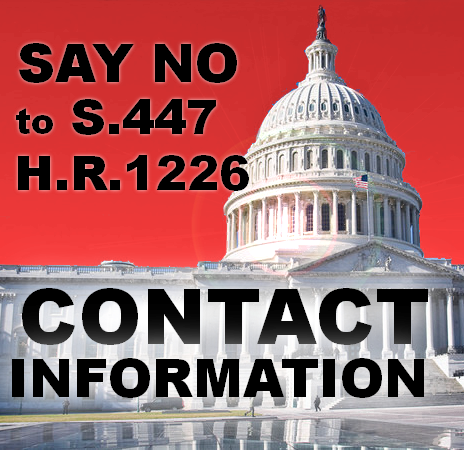 Why It Is Important to Stop the Acts S. 447 and H.R.1226? …..1. In compliance with the 1960 Bilateral Agreement with the United States, Poland has already compensated all claims submitted by U.S. citizens (and their heirs) who owned property in Poland before the WWII. Based on this agreement, Poland also received indemnity from the United States protecting it from any further private property claims. Poland has also paid nearly four times the amount it originally agreed (see the Final Report of the Polish Claims Program). In contrast, some countries paid only partial restitution amounts (e.g. only 10% in Hungary or Slovakia) while some have never made any payments of this type (e.g. Denmark or Norway). Additionally, with new laws enacted in 1989 and later, any person with legitimate claims can pursue them in Polish courts that decide them on case by case basis. To stop its enactment, or to exclude Poland from its scope, members of the House Committee on Foreign Affairs need to know how strongly we oppose H.R.1226. The bill is in their hands now and voicing our opposition can prevent it from ever reaching the House floor. Sponsors & cosponsors of S.447 should also become aware of the outrage drawn by their role in the bill’s passage and hear strong reasons for withdrawing their support to the bill. THE CITY OF RUINS: Warsaw 1945 from the “Liberator” 1536 Polish Special Regiment, stationed in Brindisi (Italy). Warsaw had 1,300,000 inhabitants as of September 1, 1939. About one third of them were Jews. After the fall of Warsaw Uprising War (10/2/1944), only about 1,000 people remained in the ruins. Germans deliberately destroyed about 85% of the city.